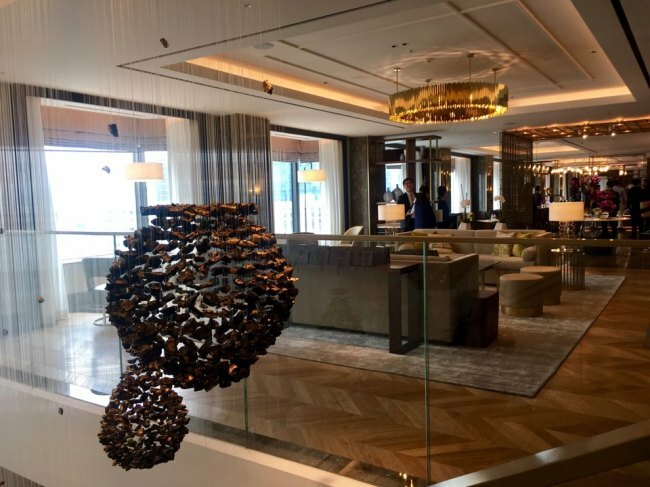 After extensive yearlong renovations, Lotte Hotel Seoul is ready to reopen its Executive Tower -- and, with it, the Michelin-starred French restaurant Pierre Gagnaire. The famous chef Gagnaire was in Seoul for two days to supervise the reopening of the restaurant, which has modernized its service while maintaining its quality. Service during lunch hours has been simplified so that guests can finish eating within an hour. The restaurant has also added lower-priced dishes to its menu. Meanwhile, the Executive Tower aims to be the foremost luxury hotel in central Seoul. 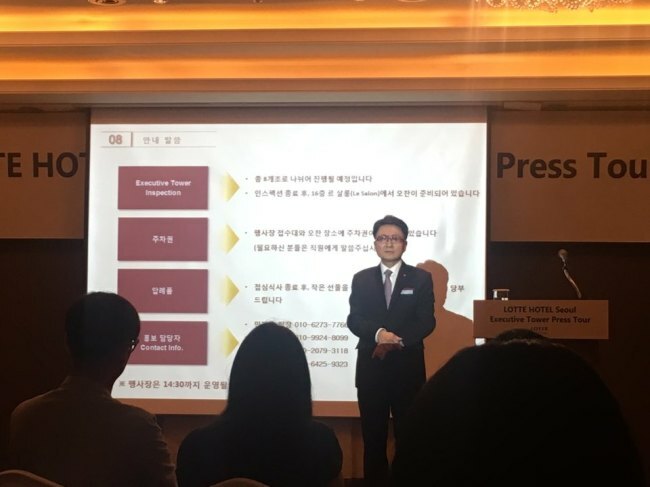 “We are working on making Lotte Hotel Seoul the true luxury hotel north of the Han River,” General Manager Park Jae-hong said at a press conference held Thursday at the hotel’s Main Tower. While Lotte Hotel Seoul’s Main Tower is already a renowned high-end hotel, the Executive Tower offers another level of luxury. A Grand Deluxe room, the Executive Tower’s most basic type of room, costs about 400,000 won ($360) per night. Other rooms can cost about 600,000 won per night. The hotel hired 80 new employees and brought in 120 employees from its other properties, who were then trained at the Lotte Hotel Service Academy to provide premium service. Before the renovation, the tower housed 373 rooms, but the number was cut to 278 -- 225 deluxe rooms and 53 suites -- making it possible to upgrade service even further. The tower’s Royal Suite, the most luxurious room, which caters mainly to guests of the nation, is 406.8 square meters wide. Around 4.1 billion won ($3.63 million) went into decorating the room. “The reservation rate has been reaching our expectations. Mostly VIP guests and overseas business clients are making reservations,” the general manager said. He went on to explain that many luxury hotels in Seoul now rely on local guests who purchase package deals. 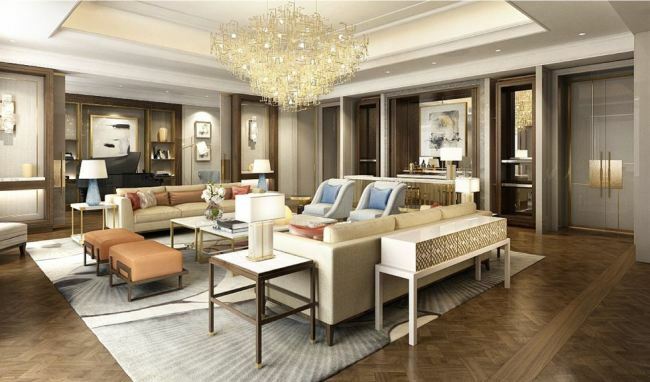 “We will make an atmosphere that is differentiated, more personal, more contemporary and more luxurious,” Park said.